September 16, 2017 Colorado Springs, CO: The results from the USA Functional Fitness Committee and Board member elections have been tabulated and the winners have been announced. National Team Training Staff was also announced prior to the beginning of USAFF Nationals last weekend. Four members were added to the Athletes’ Committee. The Athletes’ Committee is responsible for listening and responding to the comments and concerns of USAFF athletes, helping develop solutions for those concerns, and presenting them to the USAFF Board of Directors. Original committee members Sean Sweeney and Talayana Fortunato will be joined by new electees Matt Bever, Joseph Guesnier, Thomas Anderson, and Katie Dyke. The two members elected to the Ethics Committee are Sean Dunston and David Roderick. The Ethics Committee is responsible for enforcing the USAFF Ethical Code of Conduct and investigating violations of the Code. Moira Davenport, Vincent Shaw, and Eric Warne were elected to the Medical Committee. The Medical Committee is responsible for establishing conditions at USAFF sanctioned events which ensure the health and safety of all participants. The Medical Committee also controls Anti-doping policies and activities of USAFF; making sure that USAFF complies with the WADA code, USADA rules, and the IOC, USOC, and USAFF anti-doping rules. Shawn Abell and Katie Dyke were elected to the Adaptive Committee. The Adaptive Committee is responsible for developing competition rules and conditions which are conducive to conducting fair competitions for adaptive athletes and are in line with IPC guidelines. Travis Pomposello has been added to the Board of Directors. Travis brings an extensive background in media and production to the USAFF team. In addition to the announcement of the Committee and Board Elections, the National Team Coaching Staff was announced last week during the Athlete Meeting prior to the USAFF National Championships. 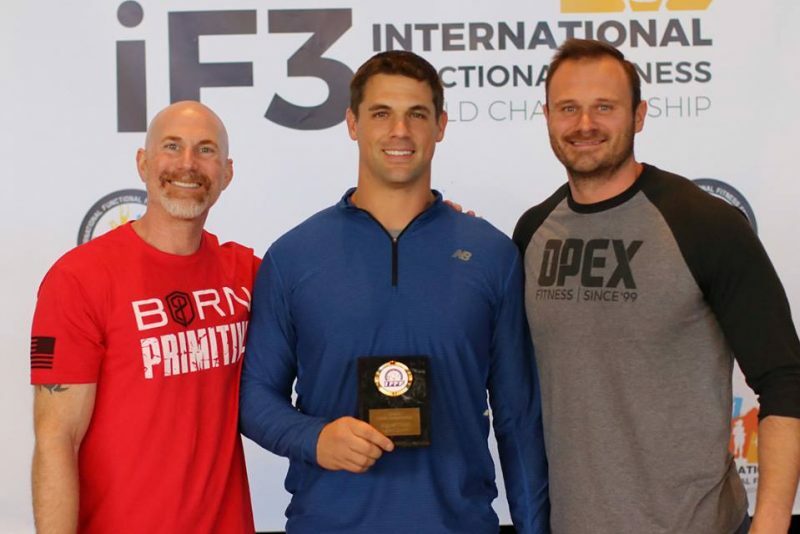 Mike Lee and Justin Cotler are the National Team Coaches and Josh Plosker is the National Team Coordinator for USA Functional Fitness. Combined, these three have a wealth a knowledge and experience coaching and developing athletes from beginners to elites. The trio have developed a solid plan to develop and prepare USAFF athletes for national and international competition. Please join us in welcoming all new Committee members, Board members, and staff members to the USAFF team!